Plus Size Kitten: ISETAN KLCC TAXI EXTRA SURCHARGES! I just came back from Isetan KLCC and this is my first time trying out their new & improved taxi services or as u say trying to weed out the taxi rogues or something. I heard you only need to pay a surcharge of RM2.00 to take taxi at a taxi outside Isetan's ladies department floor. I usually take my taxi from here and it would cost me from rm15++ to get back to Taman Tun Dr. Ismail (sometimes slightly more due to jam). I use the Penchala Link which will be an additional RM1.00 toll charge. However today, I paid RM2.00 for the "extra surcharge" and proceeded to get my budget taxi after waiting so long for them to come. It seems the budget taxis are boycotting this place and only executive taxis are around. Anyway I got in my taxi and the taxi guy asked if I paid my rm2.00 in which I said yes. There was no jam today, a smooth ride all the way back to TTDI my office. Passing the Penchala Link, I looked at the meter and it was a ghastly RM28.00!. I tried to glance back again and it was RM30.00 (wtf?). When I got down, the meter was RM31.40 (excluding rm1.00 toll). This is outrageous, it's double the amount of what I usually pay! I asked the taxi guy whether his meter is "rosak" (spoiled), he quickly asked whether I know the new charges of the taxi stand just now. I said yeah RM2.00 which I already paid! 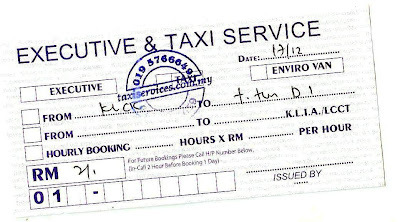 and he proceeded to say that you needed to pay the TAXI MAN and EXTRA RM6.00. He asked if the taxi stand at KLCC Isetan told me that, I said NO. He say there is sign that says it, I told him I don't see any sign except paying rm2.00 extra. WTF? I am so bloody piss, I've paid RM34.40 for my trip from KLCC to TTDI using Penchala Link. I don't know if was cheated by the taxi guy or to whether the new charges indicate Taxi Guy EXTRA RM6 and TAXI STAND RM2 EXTRA. Whatever this is.. it's CRAP I TELL YOU and should just be scrapped off! I rather pay those who don't follow meter! it would be cheaper! Bloody hate coupon taxis etc, they are AS BAD AS ROGUE TAXIS! who says it's helping the public?! P.S: I asked the taxi guy to give me a receipt, he bluntly told me it should be issued by the taxi stand and proceeded to give me an empty receipt. I taken note of his taxi number HWC 1165 Indian Chap. I swear I am being charged extra, even after deducting "RM6.00" surcharge it's still costing me RM25.40 which is not the usual price I pay!. His meter rides like a horse too, going up ten cents every few seconds! I sat on a budget taxi (normal taxi with meter that starts at rm3.00 not rm6.00) and not the Blue taxi type too and the pricing poster inside the taxi states RM3.00 starting charge and bla bla every X seconds n X meters. 2yrs ago i came bek from melb for a short hols, and i paid RM9 from KL Sentral to Tmn Seputeh (thru a counter, bought with voucher) we have to state the destination and they will calculate. but the taxi guy later don't know Tmn Seputeh and I had to call many people on my hp to 'give directions' to the taxi fella! well, i just came back KL so my geography not that good either. Anyway, later from Tmn Seputeh we want to go back KL sentral, and we 'tahan' a taxi off the main road (so lucky!) and the fare was RM3! i did interview a staff of the co who is handling the service.. to get a cab frm klcc, one has to pay RM2.. then u will be given a slip which states the plate no of the cab.. the fare wud be as per the meter.. apparently this practice is being applied to control the cabs who did not use the meters and overcharged.. the victims were mostly tourist.. and appraently, if lets say the customers accidentally left their belongings in the cab, the co can retrieve/locate the items for them as they hv the no of the cab and the cab is registered/in the cos list..
most of the cabs tat are registered with the co are executive cabs.. so i guess u got the executive cab.. and no, he shudnt be asking u for rm6 extra..
klcc management shud be doing sumthing else to control the taxi piranhas.. not by punishing and burdening the customers and taxi drivers.. taxi drivers who wants to be allowed to pick up customers from klcc must pay RM120 to the co monthly.. klcc management shud team up with police/jpj or other necessary bodies to control this matter.. not by outsourcing another co to handle it.. end up, customer at the losing end, the co make money.. BS right? 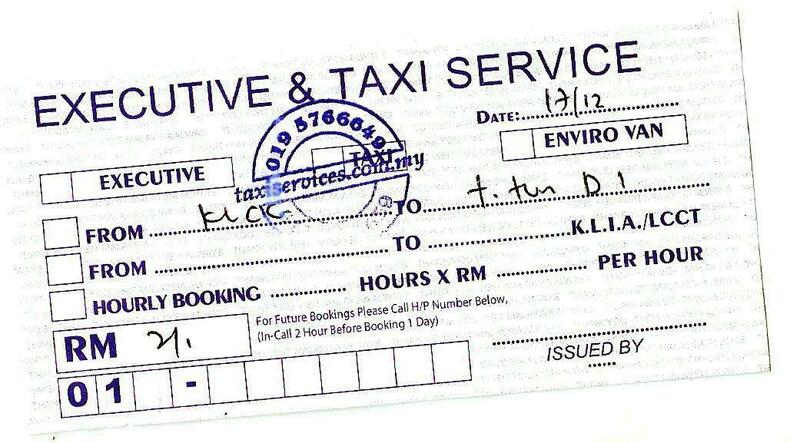 complain not only to KLCC, but also to the body governing taxi2 nih. should be under ministry of transport. since ada this guy's plate number (did you get his name?) then complain la. bagi bakar sket mamat tu!!! I really dislike the taxi services here. When i was in college, kena duno how many times over charged. The most recent was last yr, taxi cab with voucher system, I took the taxi from Sunway pyramid to my house is only 15-20mins, no jam tat time. I duno how they charge, but i got to pay RM16!! I drive my own car with petrol also not so exp. I don't trust taxis. Period. I paid RM $20.10 for cab fare from KLCC to Ampang Point PLUS the $2 surcharge. I am famliar with the area and know normal fare should be $9-$10. I am so sick of being scammed because I have white skin. have had cab drivers quote $50 for fare from Great Eastern to Ampang Jaya! Buggers with straight, fake friendly faces who obviously think my skin color equals extreme stupidity. I got caught this time, s I only recently returned to Malaysia after four years and didn't know the "executive cab" trick. I love everything about Malaysia except the scam artists, of which taxi drivers are only one part of it. I paid RM29 +RM2 surcharge from KLCC to PWTC! It costs RM10 to RM15 normally. The driver is not professional i.e. not giving official receipt, talking about racial issue in Malaysia, complained about unhappy passengers. Ironically, the driver or the cab company should be reported as crime by cheating. The metre is not driven by distance, but rather by RM0.20 per minute. Dear tourists and Malaysians, please do not take blue cab from KLCC. I love reading your post, this is really fantastic blog, we are providing taxi leasing service if anyone wants to lease a taxi so they can contact us.